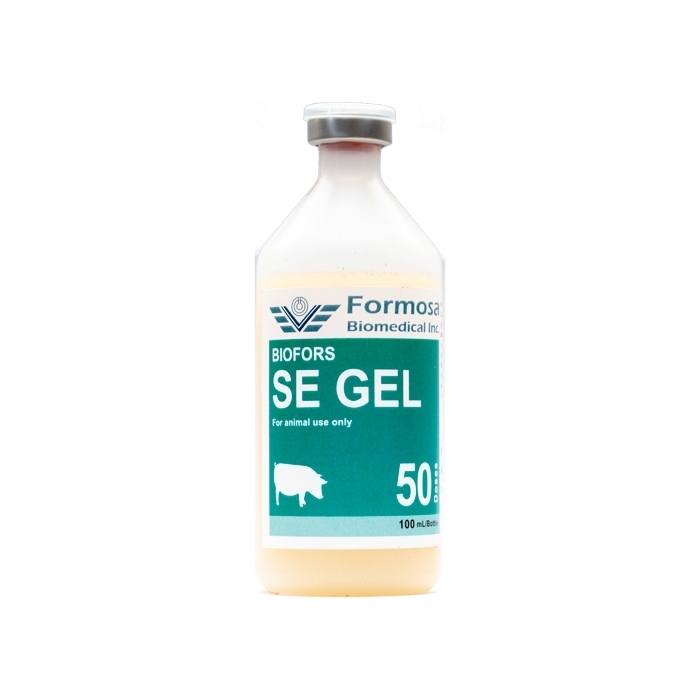 BIOFORS SE GEL is an inactivated vaccine which contains inactivated Erysipelothrix rhusiopathiae. The vaccine is produced by amplifying Erysipelothrix rhusiopathiae in culture medium. Culture medium containing amplified Erysipelothrix rhusiopathiae is inactivated by formalin and then centrifuged. Aluminum hydroxide gel is added as adjuvant. The vaccine has a physical appearance as liquid suspension. Prevention of Swine Erysipelas in swine. Shake to mix the vaccine thoroughly before use. Administer via intramuscular route. Piglets: Administer 1st vaccination of 1 Dose to each piglet of 4 weeks of age or older. Administer 2nd vaccination of 1 Dose at 3-4 weeks post-1st vaccination. Sows: Administer 1st vaccination of 1 Dose to each sow at 7-8 weeks before farrowing. Administer 2nd vaccination of 1 Dose at 3-4 weeks before farrowing. Store in a dark at 2-8ºC. Do not freeze. ·This vaccine is for veterinary use only. ·Allow the vaccine to recover to room temperature before use when they have been taken out of a refrigerator. ·Shake to mix thoroughly before use. The vaccine will form precipitates when left to stand for a long time.